 Networking for RSNA Attendees - ONRAD, Inc. The RSNA (Radiological Society of North America) is holding its annual tradeshow in Chicago from November 27-December 2, 2011. It’s exciting, fun, educational – and its size can be completely overwhelming! Here are some helpful tips on networking while you’re there. You are there to get to know people and build relationships. RSNA is a great place to exchange ideas, ask for advice, and look into new products. In order for this time to be fruitful, you need to determine your goals for the show and go over them with your team. Decide how you can measure your success in meeting those goals. Organize and communicate your plan of attack. Multiple attendees from your organization should split up to visit different sections, attend different seminars, and cover more ground. You see your co-workers every day; this is the time for everyone to make new connections and that can be difficult if you travel in a pack. Decide who you absolutely must see and who you just want to see while there. Then assign each person a section or event to cover. You can share information throughout the day and after the show. Remember the 80/20 rule: listen 80% of the time and only talk 20%. Don’t be afraid to introduce yourself or ask for referrals and direction. Exchange business cards with everyone you speak to – you never know when a new contact might come in handy. Get to know people. Ask them questions about their business and tell them about yours. Try to determine mutually beneficial ways to help each other. You can make introductions and referrals increasing the likelihood you will be remembered after the show. Don’t feel like you have to take every brochure offered to you. Only take information that meets your goals. Anyone who has tried to cram 100 product brochures into their suitcase before flying home knows this is good advice! Plus you can ask for materials to be sent back to your office rather than carry them around all day. Of course, don’t forget to stop by and visit ONRAD in booth #5502. Learn about RadRemote, our innovative new technology that lets physicians talk with our teleradiologists face-to-face. Learn more about our teleradiology services and RSNA booth. Organize your notes on the flight home. Follow-up within two weeks. Even better, send a few follow up emails out each night – it lets people know you’re on top of things and you’ll have less to do when you get back to the office. If you are blogging about the show, be sure to send a link to any exhibitors you feature. They’ll appreciate the shout-out and may be open to a deal. Then check to see if you made your goals. This will help you to plan for RSNA 2012!